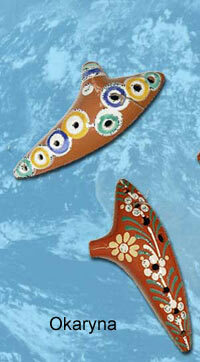 As in Ukrainian art, Ukraine's vocal traditions also exist within a great sphere of diversity. The origin, age and level of development of songs can be determined on the basis of the theme, the literary style and the rhythmic and melodic structures. Within Europe, folk polyphony exists in Ukraine, Georgia, Russia, and in isolated areas in the Mediterranean (Corsica, Sardinia and inland Spain). The tradition of singing in Ukraine has no comparison to any other choral tradition, except for certain areas of southern Russia. Solo and choral singing is practiced in the main: some songs are sung by a single male or female singer; other are sung by choirs exclusively. The melody line in solo singing is mostly characterized by it's greater liveliness and richer melismata. A frequent and popular type of song is one in which the beginning of the verse is sung by one or two singers (called zaspiv, introductory singing), and the rest of the verse or the refrain is then sung by the choir (called pryspiv). Choral singing in western Ukraine is performed in unison, while two-part singing is mostly practiced in the eastern regions. The latter is characterized by a higher leading-voice and a sub-voice. Sometimes a middle melody line develops from these, resulting in three-part singing. By singing in octaves, a mixed choir generates a larger power of separate voices, but the basis always remains two-part singing. More typical for Ukrainian two-part singing uses the voice in parallel thirds, sometimes changing into fifths or octaves. Apart from the thirds, fifths, and octaves, that form the basic harmonies, other intervals may occur in choral singing, like added 'passing through' tones (passages through main melody and corresponding harmonies) and assisting sounds for the melody, as well as those that are generated by the performers through variations on the melody. This style of singing is called ‘polyphony of sub-voices’, or ‘variant-polyphony’. 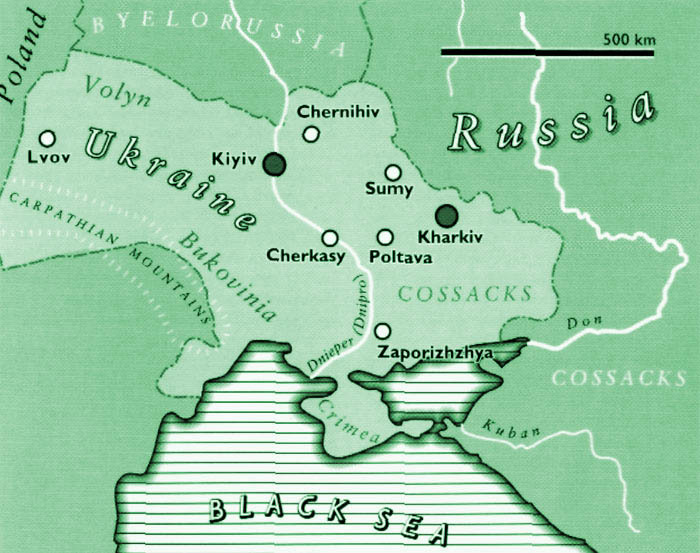 Three-part and four-part singing – following homophonous harmonies – also occur in Ukraine. These are a later development and are connected to melodies that have their origin in the cities, rather than in the countryside and villages. 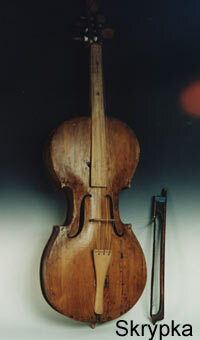 The bass-strings are played with the left hand and the melody strings with the fingers of the right hand. 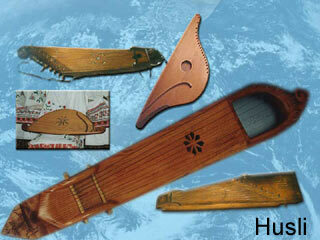 The bandura is held in the lap almost vertically in front of the chest. 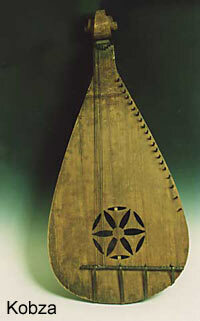 The bandura originated in Ukraine and developed two different schools of playing and instrumental styles: the Kiyivan and the Kharkiv schools. 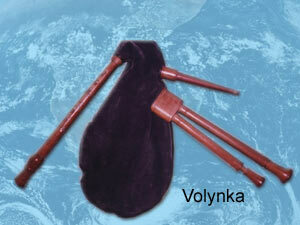 The bandura does not appear in any other world cultures. The bandura is an instrument that can accompany ones own or group singing or for be used for performance of pure musical pieces. There are different traditional tunings. The first six strings, called bunty and pidbasky (bass strings), pass over the neck and the tuning is D-G-A-d-g-a. The melody strings, called prystrunky (short strings) give a diatonic scale, with a b flat in both octaves, whereas the deepest note is d. The right hand plucks the melody strings. The left hand plucks the bass strings and sometimes also the nearest melody strings. 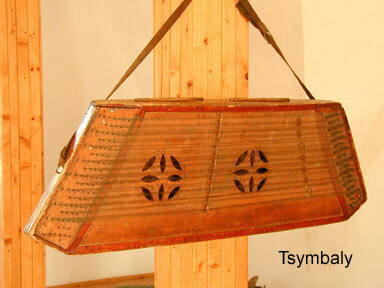 The Ukrainian hurdy-gurdy works exactly like the other European types: a wheel made to rotate by a crank acts as a bow. The old examples are diatonic and provided with nine to eleven keys. 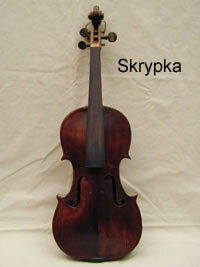 They have one melody string and two drone strings (tenor and bayork). 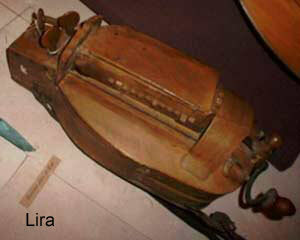 Chromatic hurdy-gurdies, which are furnished with two rows of keys, were probably introduced after 1920. These instruments are not held obliquely but laid horizontally on the lap. Their keys are provided with a device (often a simple rubber band) to make them return to their starting position. Contrary to most European hurdy-gurdy forms, the Ukrainian lira has never had a trompette (drone string with rhythmical function). It is also noteworthy that quite a few players turn the crank in both directions (first forwards and then backwards); when the direction is changed, the sound is briefly interrupted. The tradition of the lirnyky (hurdy-gurdy players) has played a particular role in the Ukrainian musical culture of the 18th and 19th centuries. All the musicians who are still active today belong to the revival generation. Supposedly the instrument was imported from France by the Ukrainian Cossacks of colonel Ivan Sirko, who took part in The Thirty Years War (1618-1648). Ukrainian is one of the three east-Slavonic languages. It differs from Russian and Byelorussian as Spanish differs from Italian. a) The i which sounds more or less like ee in 'see', or like ea in 'eat’. b) The и which souns like i in 'it', but with a raised middle of the tongue. c) The ї sounds like yie in 'yield'. a) e sounding like e in 'ten'. b) з inversed(e) sounding like ye in 'yes'. 3. The h sound, which exists in the Ukrainian language. On the other hand, the Ukrainian language doesn't have the sound g, like in 'good'. Some of the songs are sung in a Ukrainian dialect, and some in a border dialect that inclines towards Russian language.